Goshen College is affiliated with Mennonite Church USA, a historic Anabaptist peace church. For hundreds of years, Mennonites have believed in nonviolent peacemaking, simplicity, community and service to others throughout the world. From worldwide relations to our interpersonal relationships, we work for peace, justice and reconciliation at every level. Some confuse Mennonites with our historical and theological cousins, the Amish, but you won’t typically see any buggies or bonnets on our campus. Our Christian community embraces diversity. Our faith calls us to learn about others and even to love our enemies, regardless of national borders or ideological differences. Only through acceptance and understanding can we truly begin to make peace. 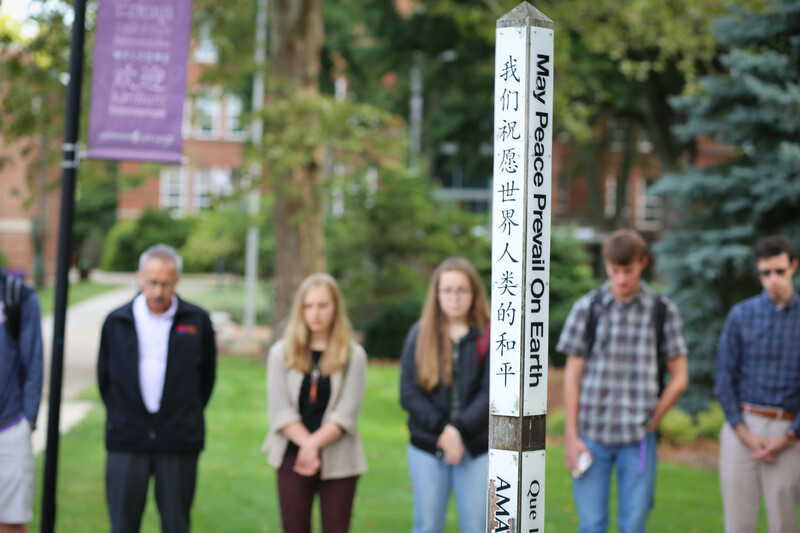 At Goshen College we intend to create a community of faith and learning built on five core values: Christ-centeredness, passionate learning, servant leadership, compassionate peacemaking and global citizenship. At Goshen, we surround ourselves with those who believe in discipleship – a life consistent with Jesus’ teachings and call. That sense of a caring community extends to our residence halls, classrooms, weekly chapels and convocations, as well as the friendships we form among students and faculty.